Milan is not like London or New York… there’s not a lot of dance going on. The resident company at La Scala will be performing six titles during the coming season. That’s S-I-X. And there will not be thirty Nutcrackers around Christmas either, there’ll be 12 Cinderellas; usually there are just nine performances of each title. So imagine everyone’s surprise when La Scala announced two ballet Galas to close their Milan Expo season on 30 and 31 October, and Teatro Carcano said that ex-Royal Ballet Principal Mara Galeazzi would be bringing some ‘friends’ over for a Gala to be repeated over three days from 30 October until 1 November. 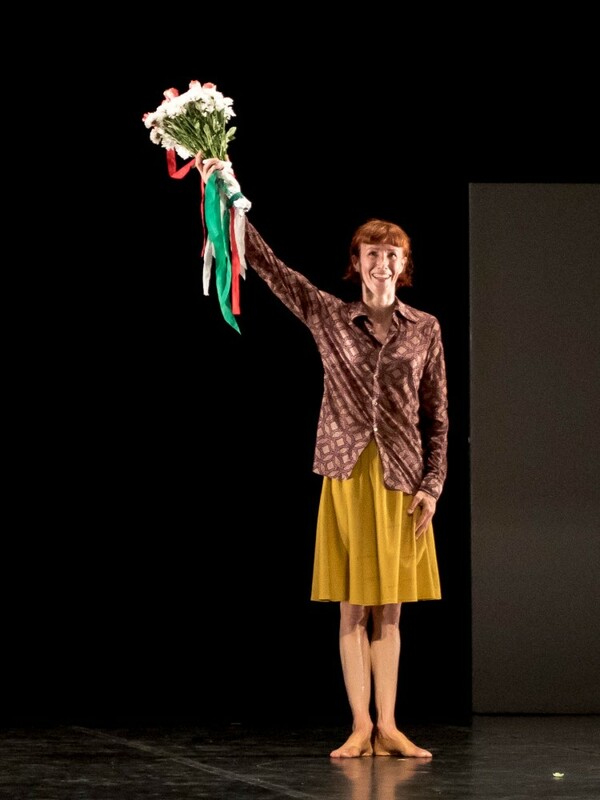 Then as if to prove that Milan’s trams don’t have the monopoly on arriving in groups, Sylvie Guillem’s farewell show has been slotted in at the last minute at Teatro Arcimboldi on 29 October. Of course, after waiting for a tram to come along and then seeing three together makes you scream in frustration, but this dance-cluster had Italian balletomanes screaming with joy… FINALLY! So, Sylvie Guillem says goodbye to Milan on 29 October with Life in Progress, featuring her La Scala chum Emanuela Montanari. This addition to Guillem’s final tour certainly surprised Milanese fans who have already travelled to Modena, Genoa, Rome and further afield to catch her addio. It does, however, give us the opportunity to catch it for a second (third, or fourth) time. The day after sees a Gala clash, but as they are repeated seeing both is possible. La Scala are featuring their resident Principals – Svetlana Zakharova, Roberto Bolle and Massimo Murru – along with regular collaborators such as Ivan Vasiliev, Leonid Sarafanov, Polina Semionova and xxxx, xxxx, xxxx. The xxxxs will be filled during the next few days – I’ve been sworn to secrecy – but you can probably guess the names (or read them in the forums and personal Facebook pages). The Rai television will broadcast the evening live on television and between now and Christmas it will be shown in cinemas worldwide. Gramilano will be in the wings muttering into a microphone and grimacing at a camera for the backstage live streaming on YouTube and the La Scala site on 30 October at 9pm, when I’ll be teaming up again with the press office’s social media guru, the delightful Silvia Farina. Meanwhile, just round the corner at Teatro Carcano, Mara Galeazzi will open for three days with colleagues from various European companies. La Scala are going for the good old-fashioned ballet’s-greatest-hits evening, whereas Mara’s gone for a mainly modern programme, though a black swan will be raising its neck at one point, and a Sylphide will flutter around the stage too. The full repertoire is printed below. The participating dancers at Teatro Carcano are Anna Tsygankova and Jozef Varga from the Dutch National Ballet, Elena Vostrotina and Raphael Coumes Marquet from Dresden Semperoper, Alexandra Lo Sardo and Jon Alex Fransson from the Danish Ballet, and Mara herself will be joined by her Royal Ballet pal, the delectable Gary Avis. Do you know what will be the final cast of the La Scala gala on the 30 and 31 october? Tickets are gone and came out on Seatwave as always. There are 200 tickets unsold at unreasonable prices which means that regular poeple cannot go. When will this shame end? Milena, I hope I’ll be able to print it, at least tomorrow! I wish I could have been there!!! And to see Sylvie for the last time… sigh.